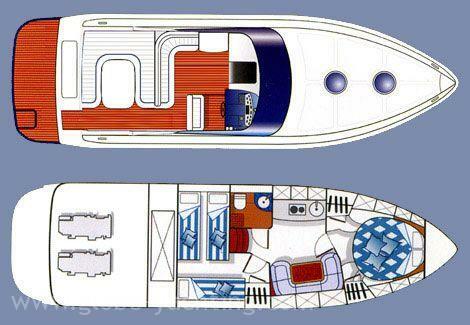 The motor yacht Airon Marine 345 can accommodate 5 guests in one double cabin and one twin cabin, convertible into double. 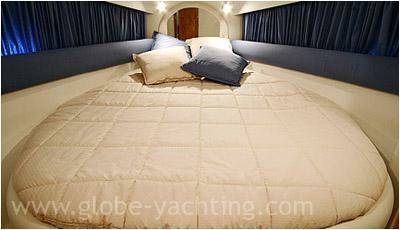 Twin cabins has one additional berth. 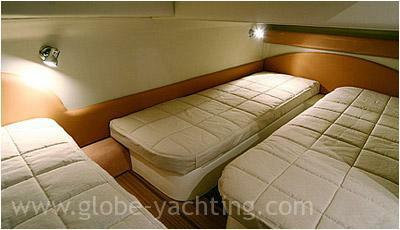 Twin cabin has one additional berth. 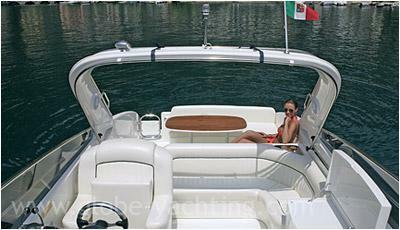 It’s powered by two Volvo diesel engines, each with 225 HP. 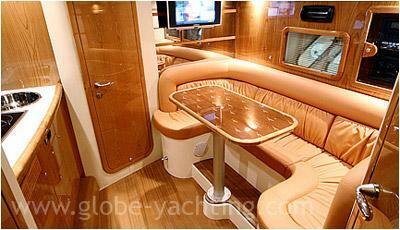 It has spacious salon, wide sundeck area for it’s size. 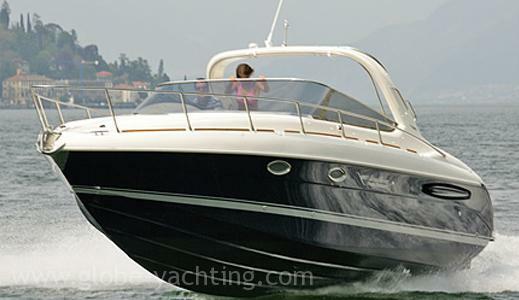 Perfect choice for yacht on bareboat basis or with skipper.